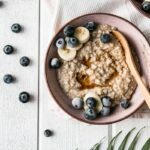 Healthy, hearty, and scrumptious Instant Pot Maple Oats! This Instant Pot Maple Oats post is sponsored by Nature’s Path Organic Foods. My Kitchen Love has been compensated monetarily and with product. I only work with brands I love and cook with at home. New Year, new you? I’m not terribly into New Year’s resolutions, but rather decide on small life adjustments that can bring about good for my family and my health. My number one priority is the wellness of my husband and children. This new year, I’m focusing on the type of food we bring into our home and specifically, organic foods and non-gmo foods (this technically goes hand in hand, but if organic isn’t available, non-gmo is a must). 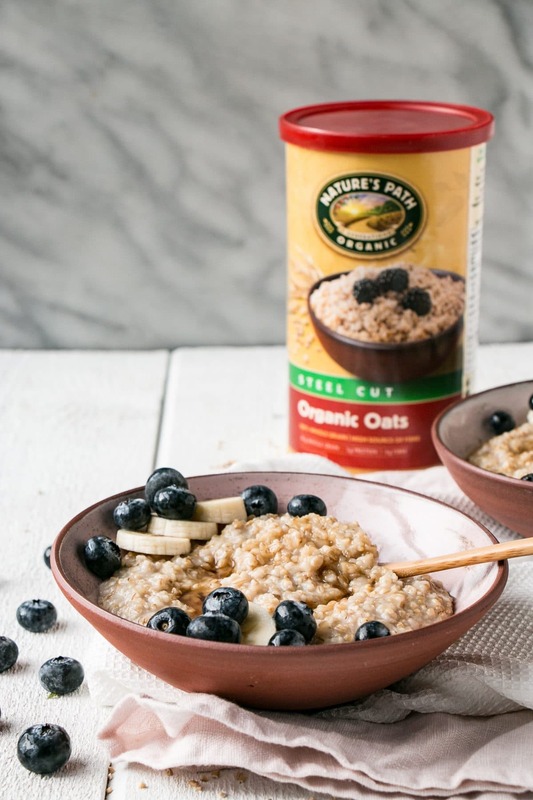 These Instant Pot Maple Oats are made with organic Steel Cut Oats from Nature’s Path. A family-run brand that is on a mission to do good for the environment or as they like to put it “always leave the earth better than [we] found it”. Using organic oats, I made a wholesome Instant Pot Maple Oats recipe my family loves. My kids love that the maple syrup is sitting on top of the oats, allowing them to have a sweetened bite of oats as they plow through the bowl. It’s just sweet enough to feel like a treat, but is completely refined sugar-free and packed with fibre and iron (keeps small and big tummies alike full longer). Warm, cozy, and perfect for these chilly winter days that have set upon us. 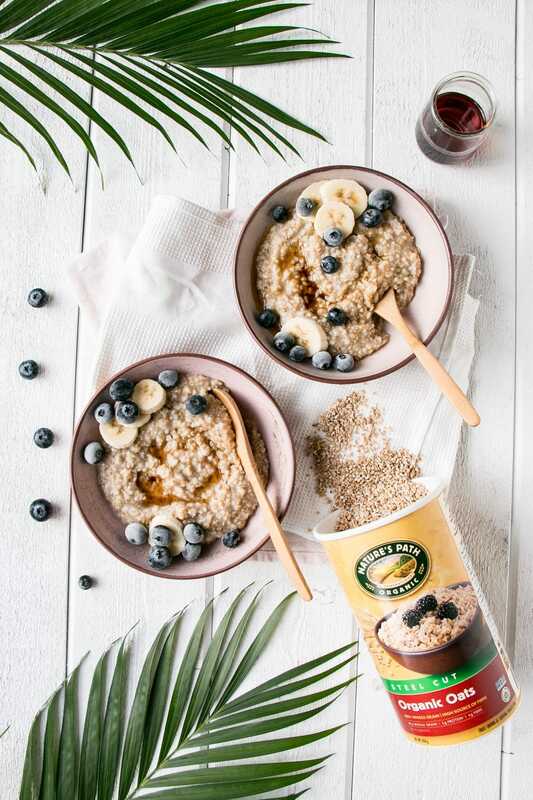 January is National Oatmeal month which couldn’t have been planned better considering we’re always waking up on cold mornings craving a warm and comforting breakfast. Nature’s Path has always been my go-to for oats; they’ve always been organic and always delicious. Their Q’ia Instant Oats are a superfood and I love topping them with yogurt, different fruits, and milk (coconut milk is a great treat on oatmeal). 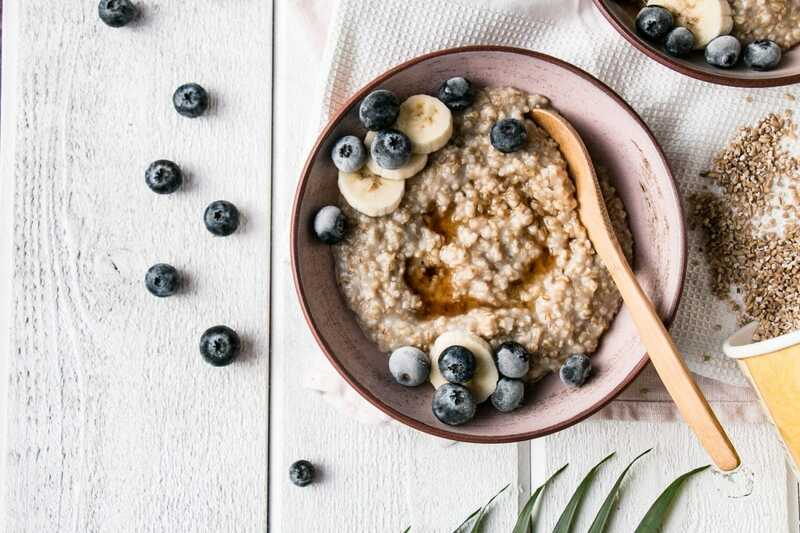 For Instant Pot Oatmeal recipes, be sure to use water while cooking the oats and use your preferred milk of choice as a topping since milk (specifically dairy milk) will burn or come out all wonky in the Instant Pot. I’ve obviously caught on to the Instant Pot craze, but how can I not when steel cut oats cook in under 5 minutes? Soup is a dream in the Instant Pot and I’m really excited about whipping up a batch of saucy lentils and mushrooms. Do you have a favourite way to top oatmeal? Or ways to lessen our footprint on the planet? In choosing organic foods, I’m keen to support a way of farming that matters to me and my kids. Encouraging biodiversity and protecting natural resources through food choices. Or more frankly, putting my money where it matters most to me – in what I see as sustainable products. Another organic oat recipe that looks sublime is this Vegan Oatmeal Breakfast. Its got a great flavour mashup with raisins and apples in there. And if you’re in a serious jam with time, this 4-Ingredient Green Smoothie is still a family-favourite (we made it today!). Fluffy and light Instant Pot Maple Oats. Use coconut oil to grease the bottom and sides of Instant Pot. Add oats, salt, and water. Close Instant Pot with vent to sealing. Cook at high pressure for 4 minutes*. Turn Instant Pot venting valve to release and carefully open the lid once the valve is done releasing steam**. Divide oats between two bowls, top with 1 tbsp of maple syrup each, and additional garnishes as desired. 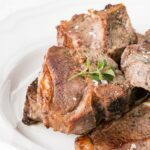 * it will take the Instant Pot 10-15 minutes to come to high pressure before it starts cooking. ** the oats will appear slightly running, but will quickly thicken. I absolutely love steel cut oats, but never make them because they take so long. 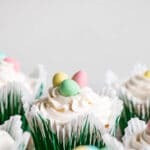 I can't wait to try making them in my instant pot! Thanks for the great recipe! Me too! They have a great creamy texture. what a great idea to make breakfast in the instant pot! we've only ever used ours for dinner before. 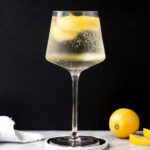 this is delish! 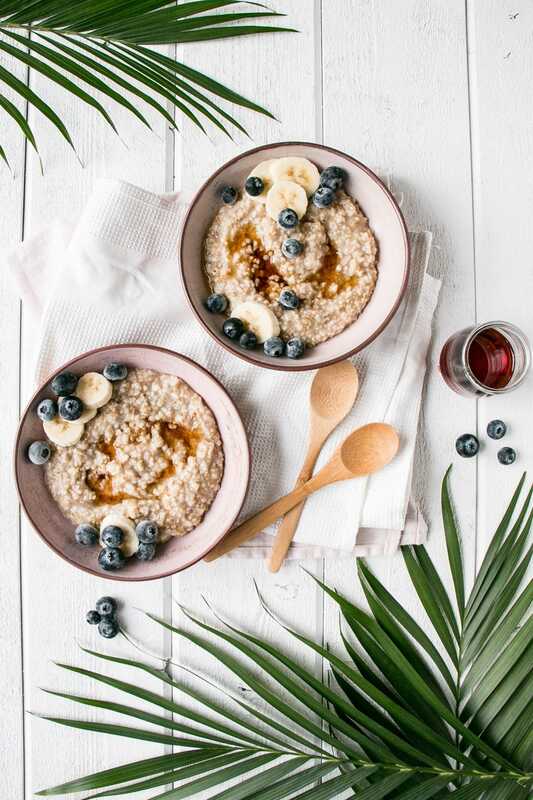 Love oatmeal and this combo looks great! I'm glad you agree Megan :) Thanks! This is my kind of recipe! I love Nature's Path Organic Foods too! Woohoo! It's such a great company!! 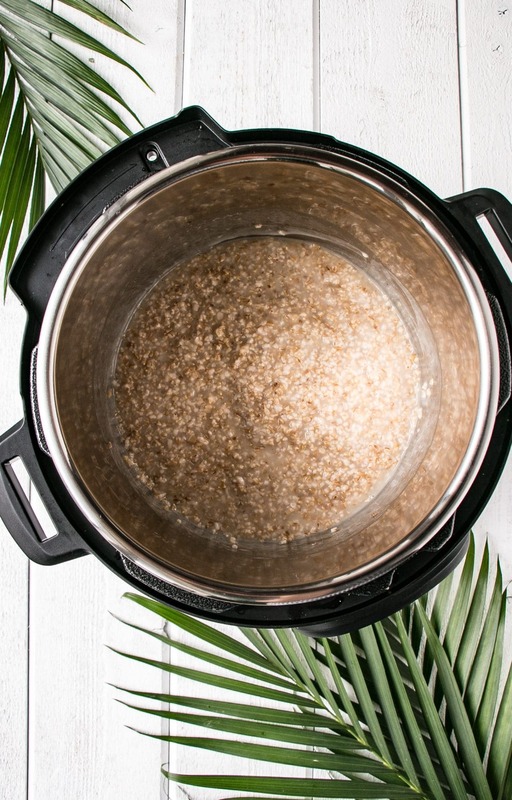 It is amazing how quickly you can make steel cut oats with an Instant Pot! I LOVE the texture of steel cut oats, but sometimes the cooking time is too much for my rumbling stomach to handle. This is the perfect solution! Making this recipe FOR SURE! I hope you love them! I was impressed with the texture; so creamy.